There exist a number of books related each one to a single type of control, yet usually without comparisons for various industrial sectors. Some other books present modelling and identification methods or signal processing. 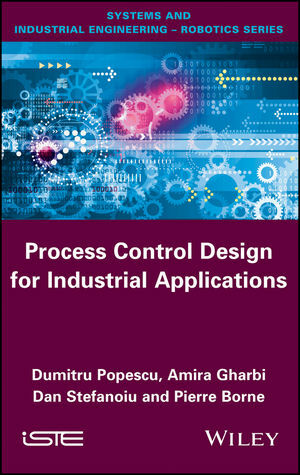 This book presents the methods to solve all the problems linked to the design of a process control without the need to find additional information. Dumitru POPESCU, University Professor, Mathematician, PhD Engineer. Amira GHARBI, Assistant Professor at the Ecole Nationale d'Ingénieurs de Carthage. Dan STEFANOIU, Professor at Politehnica University of Bucharest, Romania. Pierre BORNE, Professor, Ecole Centrale de Lille, Villeneuve d'Ascq Cedex, France.